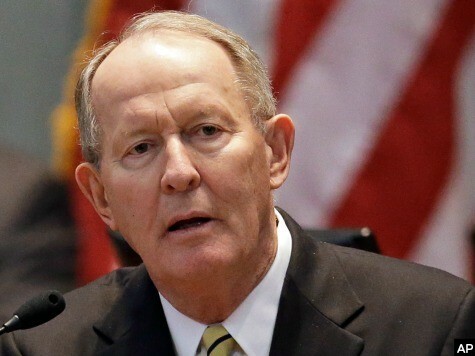 Sen. Lamar Alexander (R-TN) reportedly procured an earmark in the Fiscal Year 2009 Interior Appropriations bill for a museum that would use taxpayer resources to travel around the state with an exhibit on Alexander’s political career. “Senator Alexander inserted a $400,000 earmark for the Tennessee State Museum into the FY 2009 Interior Appropriations bill,” Red State’s Daniel Horowitz reports. Horowitz links off to an official Office of Management and Budget (OMB) website that shows the earmark Alexander acquired for the museum. On Thursday evening, Nashville’s News Channel 5 investigative reporter Ben Hall uncovered that Alexander’s re-election campaign was working with the taxpayer-funded museum to roll out the exhibit. The museum canceled the planned exhibit abruptly once Hall began asking questions about the process. Emails showed the campaign working with museum officials to put the exhibit together. The museum’s executive director said in her interview with the local news outlet that no taxpayer money, only private funding, would have been used for the Alexander exhibit. The exhibit would have cost about $44,000 and focused on Alexander’s long political career. As a result of the local news investigation, the museum has postponed the exhibit until after the 2014 elections. In response to this revelation, a spokesman for Alexander pointed Breitbart News to a 2013 document laying out the purpose of that $400,000 grant, seeming to indicate that since the grant was not directly for the Alexander exhibit, there was nothing wrong, as Horowitz implied in his article. “Mr. Pomeroy presented a report on the status of the museum’s Save America’s Treasures grant,” the document reads in part. The museum received a federal allocation of $400,000 through a grant program operated by the National Park Service through the Department of the Interior. The purpose of the grant is for rehousing the museum’s collection into more stable storage conditions. Due to the recession, the museum has been able to purchase additional cabinets as the costs have been reduced from the quotes obtained for the original application. The museum has $100,000 remaining in its account, which will be used for compact storage. The grant contract is scheduled to close in July 2014. The museum’s staff hours committed toward the project serves as grant match for the rehousing project. In the next paragraph, though, that document shows the same museum official who was coordinating the exhibit’s rollout with Alexander’s campaign officials, executive director Lois Riggins-Ezzell, helped the senator procure that $400,000 grant for the museum.